Last night, The Scottish Rite Northern Masonic Jurisdiction hosted a live video stream on the topic: ”Do Nice Guys Really Finish Last? 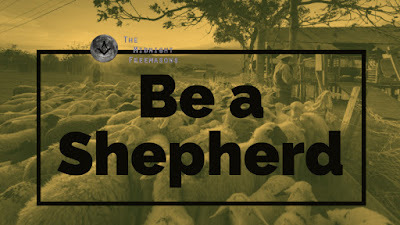 Masonry and the True Meaning of Being a Man”. This parallels the entire idea of Freemasonry taking Good Men and making them better. The fallacy of this is that we are assuming all of our members are Good Men. Being A good man is perceived subjectively. I can only speak from personal experience. For many years of my life in my 30's, I was not a good man. If the interview committee of my mother lodge had done a proper job, they would have discovered this. You see, if the west gate had been properly guarded, there’s no way I should have been elected to Freemasonry. I had engaged in behaviors that were selfish, reckless and pretty-- much against everything our institution stands for. Had my behaviors not been exposed, I probably would have continued them. I had hit rock bottom in my life. However, I truly believe everything happens for a reason. We learn to walk properly as an infant by falling down and pulling outselves back up. Eventually, You have to pull yourself up when you've hit rock bottom or your behaviors will kill you. Luckily a few years later I was admitted into the fraternity. Freemasonry, along with therapy, gave me tools to help me ensure that I never again become that man. My wider point is that if I’m one example of who was let into the Fraternity, then there must be many other members like me. Men who have made terrible mistakes. We all have at some point. We need only look at our own lodge rooms at the mosaic pavement to be reminded that our life is made up of both Good and Evil. John 8:7 reminds us that we all have sinned at some point in our lives. However, is that what we want for our Fraternity? I have seen many of my brothers on various Masonic Facebook groups and forums talk about Freemasonry being a modern mystery school. We’re not a mystery school. If we want to be considered a modern mystery school, then we need to cull our membership. You heard me. I’m guessing less than 1% of the total Masonic Population world-wide would be able to remain a member of the Fraternity if we want to be considered a Mystery School. To oversimplify it, only those (men and women) who underwent an elaborate process of purification and initiation were welcomed into the “mystery religions” of Ancient Egypt and Greece. Pythagoras, who is mentioned as one of our ancient Brothers within the craft, spent 22 years as an initiate in the mysteries in Egypt before establishing his own school. Could you imagine waiting 22 years before becoming a Master Mason? If you want Freemasonry to be a Mystery School, that’s what needs to happen. Once again using myself as an example. My petition was read on 8/4/2011. I was elected on 9/1/2011. I was initiated as an Entered Apprentice on 9/19/2011, passed to the degree of Fellowcraft on 11/07/2011, and raised to the Sublime Degree of Master Mason on 11/28/2011. Does that look like an elaborate process of purification and initiation? Even though I had begun my journey of self-improvement after behaving like excrement for so many years, I had not purified myself. I would honestly say I still haven’t purified myself 100 percent. I barely think that the 3 months between my EA and MM degree qualifies as an elaborate process of initiation. Say nothing of those men who go through all three degrees in a single day. I’m not mocking my brothers who have done this. I’m just saying that “according to Hoyle”, myself, my brethren from one-day classes, and many other brethren do not qualify for the modern Freemasonic Mystery School. The ancient mystery schools taught or allowed only one religion. One of the beauties of our craft is its ability to bring together men of different religious backgrounds and allow them to sit equally in harmony and fellowship. This is the antithesis of a mystery school. The members of the mystery schools were not only dedicated, but quite often they were from the top level of society at the time. Most of the initiates of the Egyptian mysteries were priests, or from royal blood. Many have referred the rule of ancient Egypt as the government of initiates. If you want Freemasonry to be a mystery school, then see my above comment, we need to cull membership. I’m guessing that we’d be left with very few members worldwide who are members of the 1% and Freemasons. I know everyone in the three lodges I belong to wouldn’t qualify. We allow men from every socio-economic background to join the Fraternity as long as they meet the other qualifications. Freemasonry as currently constructed therefore cannot be a mystery school. 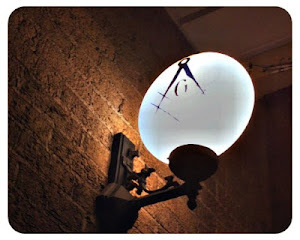 What remains is what many a Masonic scholar has discovered, which is the idea that the lessons taught in our degrees are a continuation of the mystery school tradition. Alphonse Mariette wrote in Monuments of Upper Egypt, which was published in 1890: “To the initiated of the sanctuary, no doubt, was reserved the knowledge of the God in the abstract, the God concealed in the unfathomable depths of his own essence. But for the less refined adoration of the people were presented the endless images of deities sculptured on the walls of temples.” Lewis Spence wrote about the initiation in the Mystery Schools of Egypt in his work, Ancient Egyptian myths and legends: “The purpose of initiation is a conventional attempt to realize man’s place in the universe and in the divine scheme of things, and for this, I believe, the Egyptian Mystery System achieved for the first time in an orderly and philosophical manner … Have we no lessons to learn from Egypt? Aye, the greatest in the world, the knowledge of that divine introspection which alone can give man the likeness of the Divine.” For those that have done the research into some of the deeper meanings of our degrees, the connections will be apparent. The only thing that we can do is try real hard to be a shepherd. Every day. Let our actions define what type of men we are. Right now. Today. Let your Masonic Light shine. Take what we’ve learned. Continue to learn. Don’t forget who you were when you made mistakes because you need that memory so that you never again reach that point. Use the working tools and other tools, like therapy, exercise, and meditation (to name a few), to help you chip those vestiges of the old from your ashlar. Then maybe, just maybe you can be a good man. That's what I hope for.